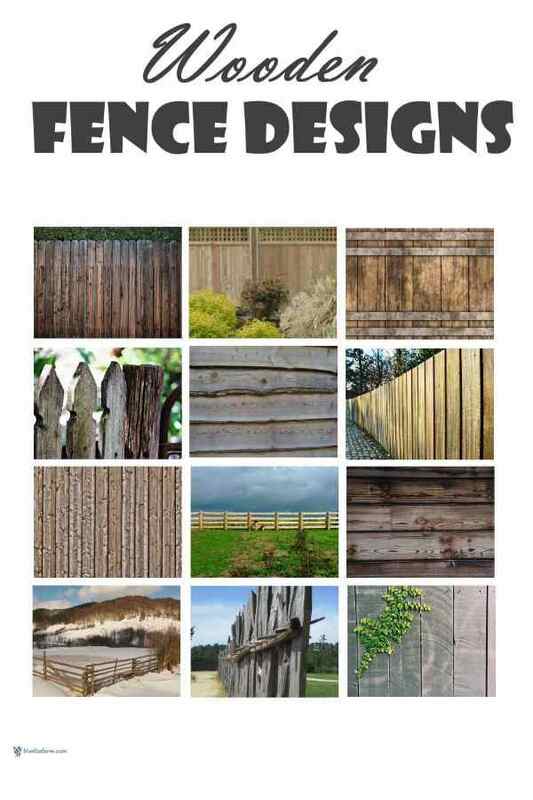 Which Wood Fence Styles & Designs Will Suit Your Garden? How do you start to decide on your wooden fence designs? There are so many options that it can be difficult to make a choice. Start with finding out if there are any covenants, or rules that you must abide by in your neighborhood or municipality. In some cases, you must have only one meter (4' or so) tall fences in the front of your property, but you can have taller fences in the back yard. You don’t want to go to all the expense of figuring out your design only to find that you’ve broken some rule or other. You can check at your City Hall, Regional District, or building inspection office. They will have full details for you to follow, and give you some guidelines to the allowable types of wood fence designs. For wood privacy fence designs, there are two basic kinds: They can be built with only your privacy in mind, and look good from only your side of the fence, or they can be what’s referred to as a ‘good neighbor’ fence. This means that both sides are identical, and your neighbor will have a nice fence to look at too. In some cases, you can figure out a fair exchange of costs or assistance to make this option worthwhile. If your neighbor doesn’t care what your fence looks like, then you’ll probably bear the burden of the whole cost yourself. Many wooden fence designs are simply panels which can be inserted between anchored posts. In some cases you can buy the panels, which will be in 8’ lengths. These are usually made of cedar, and sometimes have a decorative lattice on top. This gives privacy, as well as some air movement. Depending on the style of your garden or property, cedar rail fences are a good option for a country ambience. Split rail zig zag fences are some of the easiest fences to build, and can be easily moved if necessary. Always keep in mind with whichever wooden fence design you choose that you’ll have to occasionally maintain around it; make sure it’s easy to access the fence itself to paint or stain it, replace a board or picket, and to remove weeds from the base. If the fence itself is raised up from the ground, weed removal with a string trimmer is quick. Wooden fence designs can also be built with twigs; for rustic twig fences look at these pages on twig picket fences, twig palisade fences and twig lattice fences for ways to take the wood fence design of your choice and give it your own personal twist.